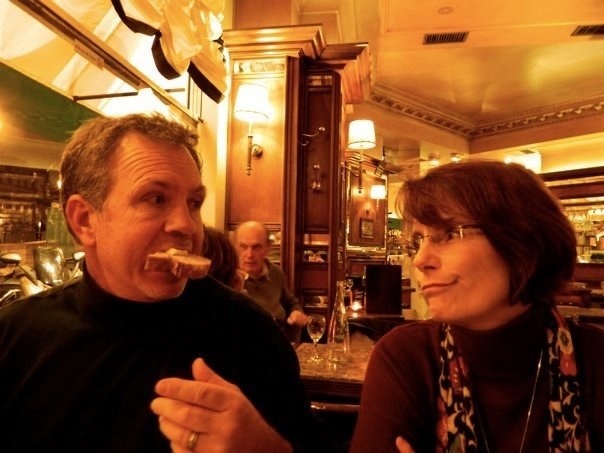 Happy tenth anniversary to these two winners. Mom and Johnny – I love you both so dearly. You have shaped every part of who I am, and you have loved me so well. You have shown me all of the things that marriage can be – that it can be fun and that it requires sacrifices, but most importantly that it can be a very good thing. You two continue to show me what love looks like, and are my reason for hope. Have the happiest of anniversaries (and just so you don’t give up on your slacker children, since you’re celebrating your anniversary in May with a trip to Ireland, you can expect your anniversary gift to arrive around the same time). I love you both. Thank you for loving me and for loving each other.